The biggest growth in the Quadcopter market is in the Large Scale Quads. They feature larger rotors, more powerful batteries, extended range, GPS capability, and advanced mounts (Gimbals) for cameras and accessories. These are the units that the FAA is considering for regulation, as they can enter controlled airspace and create havoc if not flown responsibly. (Note: See FAA rule 333). Drones are interfering with Fire-fighting activities in the Western US, and need to clear the airspace if rescue helicopters and flying tankers are in operation. Conversely, Drones are being used to assess fire damage and survey the terrain for search and rescue, as well as fire fighting strategy. Here are several examples of Larger Quadcopters! Please look at the specifications, and read the reviews! 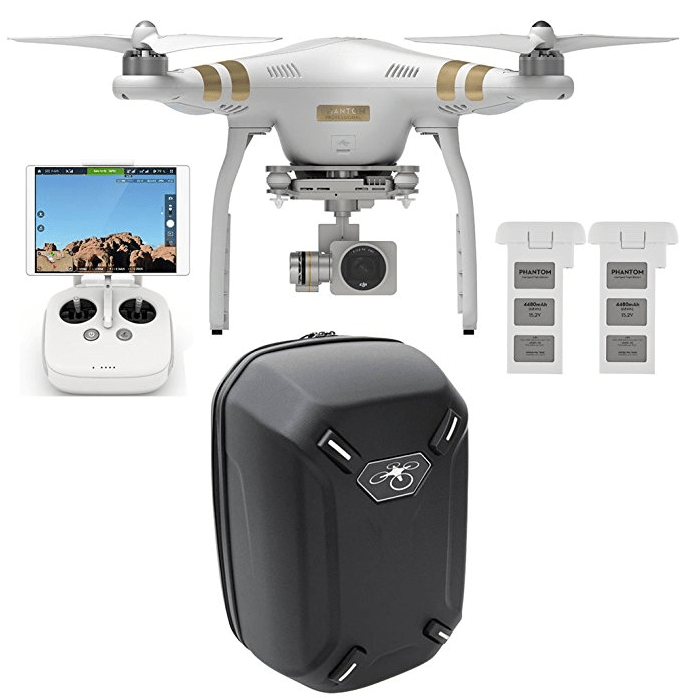 DJI Phantom 3 Professional Quadcopter with 4K Camera, 3-Axis Gimbal, Extra Battery and Hard-shell Backpack, Remote Controller Included, From Amazon or eBay. If you are doing commercial real estate, Surveillance, or sports, this is a great drone to start with.